R. Macleod, F.M. Hughes, Jr., W.C. Gorospe, and B.L. Spangelo, Synthesis, Release, and Actions of Interleukin 6 in Brain and Neuroendocrine Tissues: Methods and Overview. M.L. Shin, A.P. Lieberman, and S.N. Fisher, Methodological Evaluation of Tumor Necrosis Factor Production in CNS Glial Cells. D. Lindholm, B. Hengerer, and E. Castrén, In Vitro and in Vivo Methods for Evaluating Action of Cytokines on Nerve Growth Factor Production in Central Nervous System. J.M. Lipton and A. Catania, Pyrogenic and Inflammatory Actions of Cytokines and Their Modulation by Neuropeptides: Techniques and Interpretations. C.M. Blatteis, Methods for Evaluating Neural Mechanisms in Pyrogenic and Acute-Phase Responses to Cytokines. N.J. Busbridge and N.J. Rothwell, Thermogenic Effects of Cytokines: Methods and Mechanisms. J.M. Krueger, L. Kapás, M. Kimura, and M.R. Opp, Somnogenic Cytokines: Methods and Overview. R. Dantzer, R.-M. Bluthe, S. Kent, and G. Goodall, Behavioral Effects of Cytokines: An Insight into Mechanisms of Sickness Behavior. C.R. Plata-Salamán, Cytokines and Ingestive Behavior: Methods and Overview. Y. Taché and E. Saperas, Central Actions of Interleukin 1 on Gastrointestinal Function. J.M. Weiss and S.K. Sundar, Measurement of Immune Parameters Following Central Administration of Interleukin 1. A.J. Dunn, Neurochemical Methods for Evaluating Cerebral Biogenic Amine Responses to Cytokines and Their Involvement in Central Actions of Interleukin 1. G. Nisticà, G. de Sarro, and D. Rotirotti, Neuromodulatory Actions of Cytokines. J.E. Merrill and O. Martínez-Maza, Cytokines in AIDS-Associated Nervous and Immune Dysfunction. W.S.T. Griffin, L.C. Stanley, O. Yeralan, C.R. Rovnaghi, and D.R. Marshak, Cytokines in Neurodegenerative Diseases. Index. Recent data suggest a critical role for cytokines in the regulation of brain and endocrine function under normal physiological conditions. 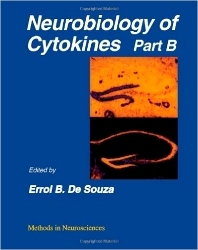 The aim of this volume and its companion Volume 16 is to provide an overview of the effects of cytokines in the brain and in the endocrine system. Neurochemists, neurophysiologists, neuropharmacologists, neuroendocrinologists, neuroanatomists, molecular biologists, cell biologists, and biochemists. Neurocrine Biosciences, Inc., La Jolla, California, U.S.A.